Yet another old favorite. 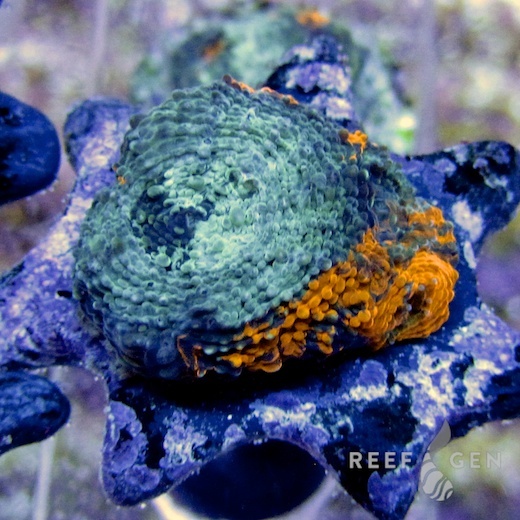 Teal, forest green, and seafoam adorn this encrusting coral evocative of camouflage, with bright orange blazes streaking through randomly. We cut every frag to ensure each one has a swatch of orange on it.